Home / Online Marketing / What are the Benefits of Conversion Rate Optimization (CRO) Marketing? 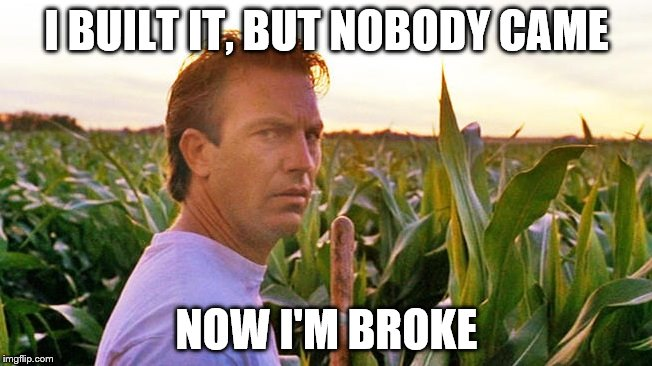 While this often-quoted “Field of Dreams” quote brings back fond childhood memories for many of us, any person with even a little marketing experience will tell you that this couldn’t be further from the truth when it comes to websites. Attracting traffic and converting visitors take a whole lotta work and time — time spent reviewing analytics, making mistakes and testing new ideas. If you’re new to the idea of conversion rate optimization, or if you’re a veteran wondering if CRO really worth it in the long run, then you’ve come to the right place. Conversion rate optimization, or CRO, is the marketing technique of systematically improving the percentage of desired actions taken in any advertising, marketing, sales or other business asset. Your conversion rate is a measurement of the percentage of visitors/users who take a desired action compared to your total traffic. Conversion rate optimization focuses on optimizing for human behavior, whereas search engine optimization (SEO) is aimed at optimizing for machine (algorithm) behavior. For example, imagine you have a downloadable ebook that asks users to provide their email address to access. By applying CRO techniques via website design, copywriting tweaks, user experience (UX) improvements, testing, analysis and more, you can get more people to download the ebook and get added to your email list. There are hundreds of articles out there about the various tactics, tricks and techniques of CRO methodology. One of our favorites is Brian Dean’s guide, which features a detailed list of over 100 CRO strategies. MailMunch has another great resource for learning about how to improve your conversion rates and common mistakes to avoid. There are also helpful (and free) conversion rate optimization checklists available, such as these ones from Crazy Egg and HubSpot. How well do you think you know your customers? Attracting thousands of visitors every day won’t benefit your business one bit if they all leave your site immediately. Conversion rate optimization can help you get to know your target audience better and discover what language connects with them on a deeper level. CRO cuts to the core of who your audience is —their needs, desires and fears—allowing you to seek out the best customers for your business. Part of the challenge of managing a business is figuring out how to make the best use of limited resources. Through CRO, you can determine which tactics result in a higher number of high quality conversions, helping you get the maximum amount of return on your investment. With CRO, even the smallest improvements in a page’s conversion rate can result in a huge profit increase. How is this possible? Conversion rate optimization allows you to leverage existing resources and your current website traffic to fine-tune the performance of a page, rather than having to pay advertisers for new campaigns and designs. Since many businesses don’t know about CRO, investing some time and effort into optimizing your conversion rate can give you enough of an edge to outperform your top competitors. Sometimes, all it takes is being just a little be faster, better and more efficient. “Bounce rate” (the percentage of visitors who navigate away from your site after viewing only one page) is an important Google ranking factor. A high bounce rate indicates to Google that searchers aren’t finding what they’re looking for on your site, resulting in a lower score for your site. By improving your CRO, you can lower your site’s bounce rate and increase user engagement which, in turn, leads to better SEO and more traffic. More traffic means even more visitors—and so the cycle continues. Basing your marketing decision on gut feelings, hunches or the opinions of the highest ranking person at the table isn’t optimization; that’s just called guessing. CRO allows you to reorient your vocabulary from “I think” to “I know” by backing your strategies with data and facts. Utilizing A/B (multivariate) testing and analytics provides the kind of deep insights that lead to smarter decision-making and better results. Continue reading: What is A/B Testing & What Does it Mean for Your Landing Page? Audience sizes don’t always scale with your business. There’s only so much demand out there for the service, product or solution you offer. As your business grows, it can run into hiccups when it comes to attracting new customers. CRO can help you turn a higher percentage of browsers into buyers and conserve your limited resources. By studying what works (and what doesn’t) on your site, CRO can help provide your visitors a better UX and keep them engaged on your site longer. Some users may even turn into brand evangelists for your company. Think of your website as the first salesperson most prospective customers meet. In order for the user to engage with your business, you must establish trust and credibility from the moment they land on your page. Optimizing your conversion rate can help establish a higher level of trust by improving your brand perception and making your site look more legitimate. Investing time into CRO will lower your customer acquisition costs because you’ll be more focused on improving conversions and converting existing visitors into customers, first and foremost, rather than dumping funds straight into social media campaigns or PPC. Last but not least, CRO is an easy sell to your bosses who hold the pursestrings because you don’t need a big budget to accomplish it. The beauty of conversion rate optimization is that you’re simply enhancing the assets you already have, which requires much less resources and investment than if you were creating something from scratch. CRO is generally much more cost-effective than trying to attract new customers. 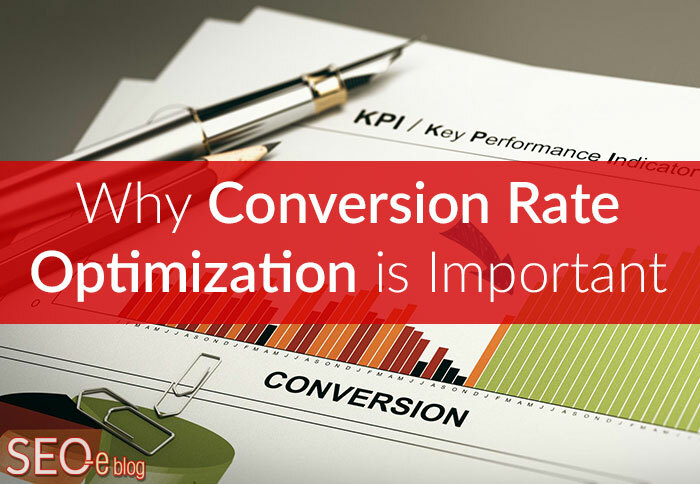 Of course, defining what conversion rate optimization is and understanding why it’s valuable is the easy part. The hard part is actually applying CRO techniques to your site, testing the results and repeating your successes. Optimizing your conversion rate takes diligence, effort and patience, but it’s well worth it in the long run. Want to learn more about the benefits of conversion rate optimization? Check out our article “How Conversion Optimization Helps Boost ROI” or contact us to learn more about our optimization services. What data/metrics do you analyze when optimizing your conversion rate? Share your comment below or on our Facebook page.